I ordered a dress on Nov 2, 2018. I did not receive my dress. EricDress know that. Yet EricDress tells me that my dress is still on the way. 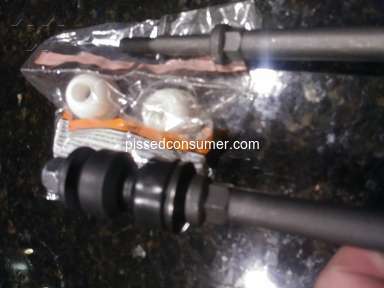 They also tell me that its not their problem that the shipping company lost my package. I will never order from here again. 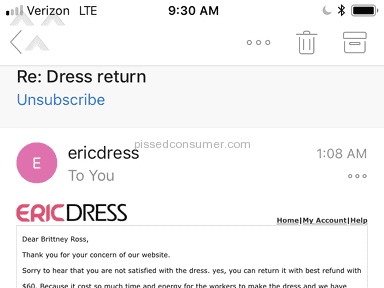 I filed a claim through PayPal to get my refund and EricDress tries to email after to tell me to close the claim. 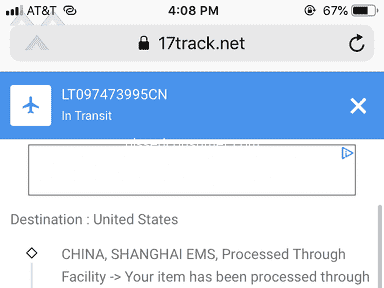 Product or Service Mentioned: Ericdress Shipping Service. Review #1416754 is a subjective opinion of PrudentTuatara627. Hi, So sorry to hear you had some problems with your order. could you please let me know your order number so that I could be able to help you? You could also email us at reviews@ericdress.com and I promise your problem could be resolved soon. Have a nice day. 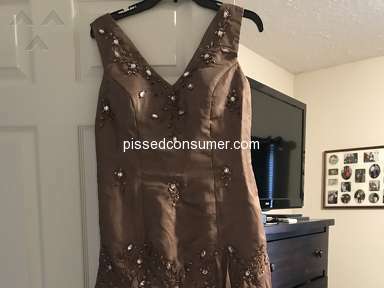 Featured Save your money, sent wrong dress, won’t refund me. By far the worst company to go through! Comment the review as Ericdress verified representative. Write a private message as Ericdress verified representative. 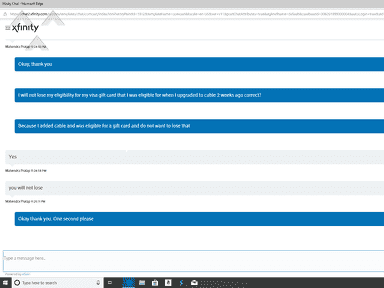 Private messages do not impact your company rating. If you want your response to count towards your company rating, you can also leave a comment for this review.